The tradition of giving leis began with Polynesian voyagers from Tahiti. It soon became a symbol of peace between the chiefs and their followers. Today is a sign of affection, according to HawaiiFlowerLei.com. 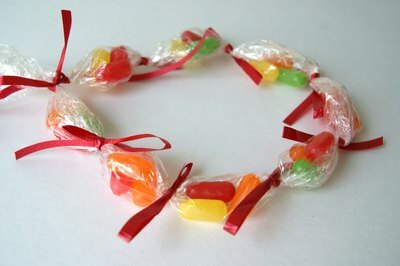 But instead of fresh flowers, use candies of all shapes and sizes to create a colorful candy lei as a graduation gift. Individually wrapped hard candy is best for lei making, but any candy that won’t melt when exposed to body heat will work. 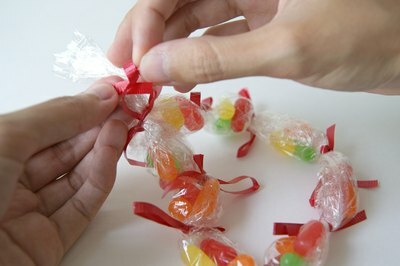 Purchase hard candies, sticks of chewing gum, jellybeans or gummy bears to place inside the candy lei. Avoid any candies that will melt when worn against the graduate’s body. Body heat or warm weather can cause certain candies, such as chocolate, to melt over time. Lay out a sheet of plastic wrap on your table. Plastic cling wrap comes in clear or tinted colors and is found on grocery aisles with the aluminum foils and plastic storage bags. 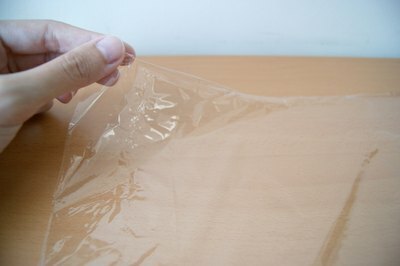 Cut the plastic wrap at about 4 feet for an adult or 3 feet for a child. 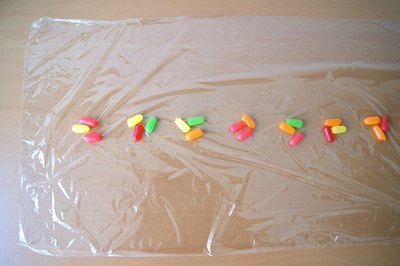 Place the candy you have chosen down the middle of the plastic wrap. Place the candy about 1 or 2 inches apart from each other. This will give you room to tie the lei in between each individual piece of candy. 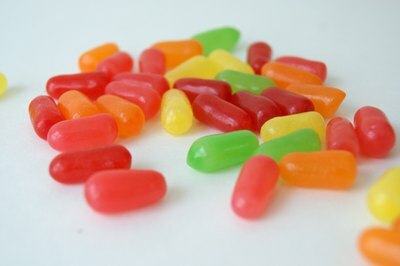 If you are using candy such as jellybeans, you may want to place four or five jellybeans together in each section. Make sure you leave about 3 inches on both ends so that you can tie the lei together. 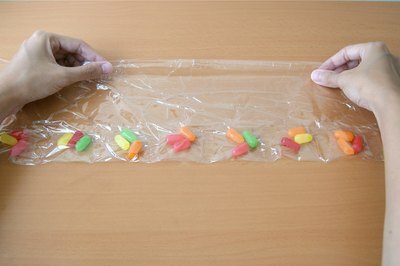 Fold one long end of the plastic wrap over the other and then carefully roll the roll of candies until the plastic wrap is secured tightly. You may need some assistance with this, particularly if you are using small individual candies such as jellybeans or gummy bears. 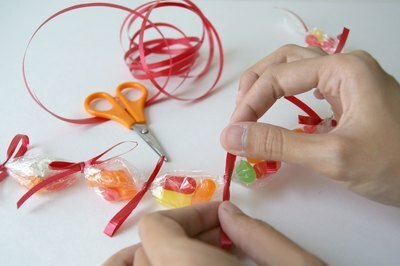 If you have excess plastic wrap, you may want to trim one of the long edges to avoid bulkiness and to allow the colors of the candies to show through. Cut some curling ribbon, raffia or other decorative ribbon into 6 to 12-inch lengths. The length will be determined by how you want to use the ribbon. You can tie a simple knot, curl the ribbon or make a bow. Tie the ends of the lei together to form the necklace. You can decorate the lei closure with a bow or a small toy. This is a fun project for kids to make as gifts for their friends for Valentine's Day. For a fun twist, you can incorporate money in some sections of your candy lei.